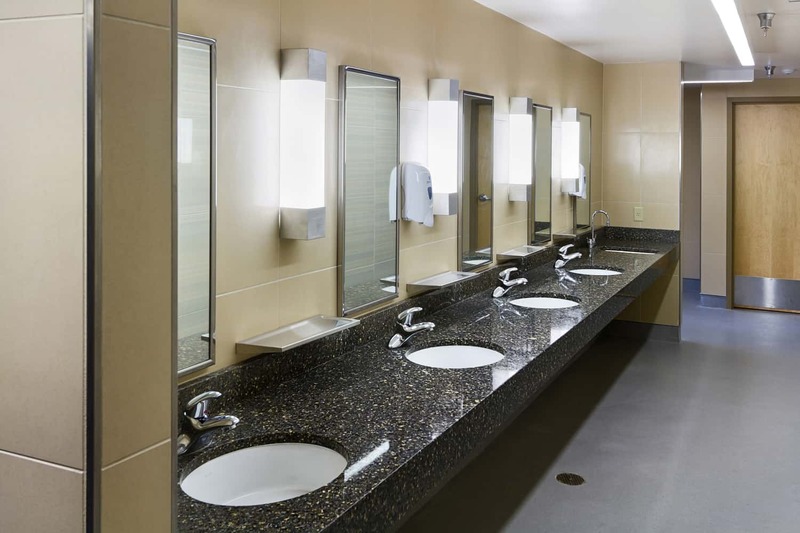 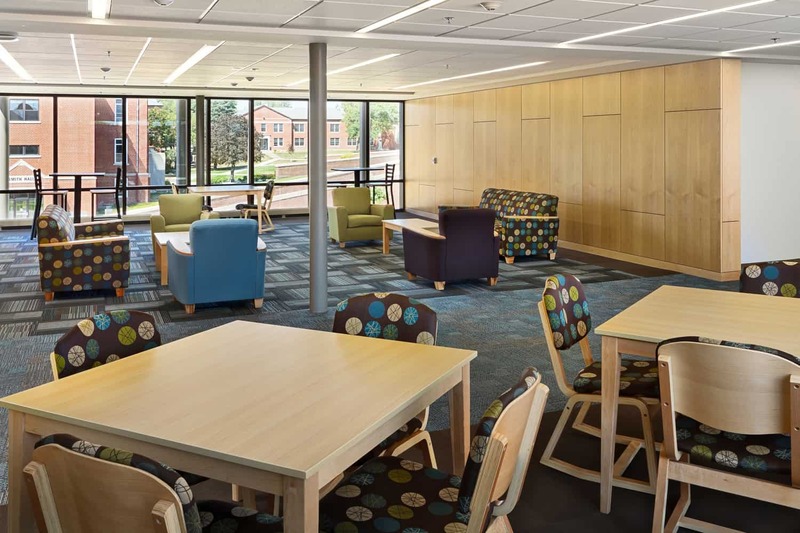 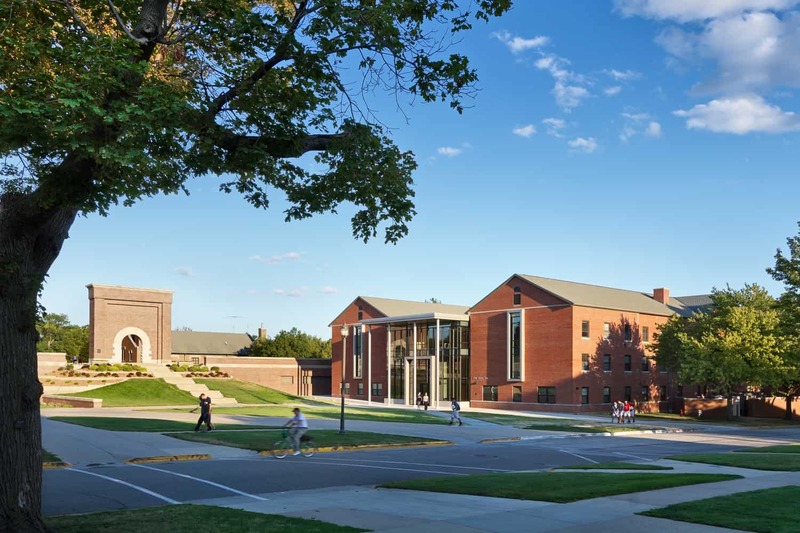 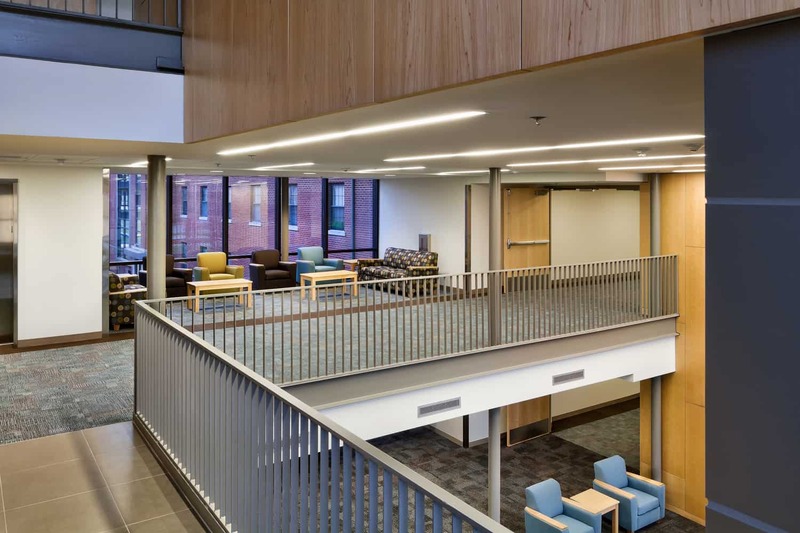 A renovation for two separate, neighboring residence halls, the project combined Pierce and White Halls into a single complex, providing more communal social and study areas while upgrading the existing rooms and facilities to accommodate 400 students. 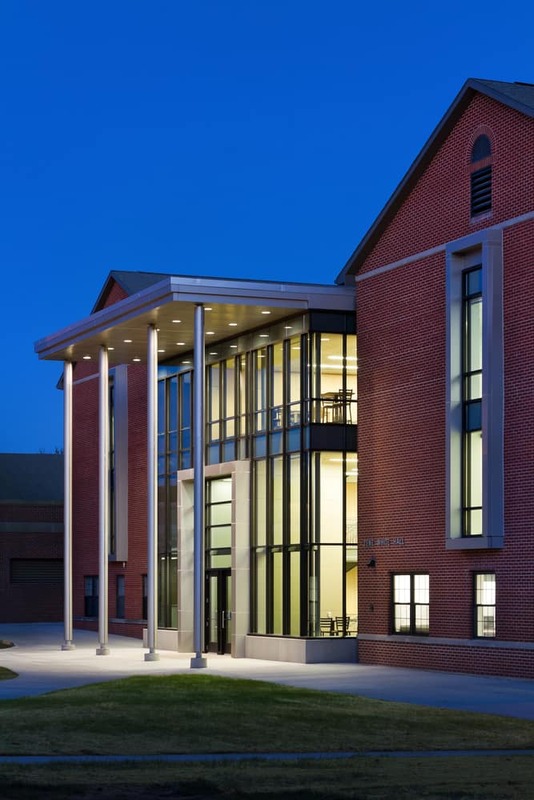 Transparent glass connectors on both the north and south ends of the buildings create the new, single complex, creating a single circulation loop and providing a new main entrance. 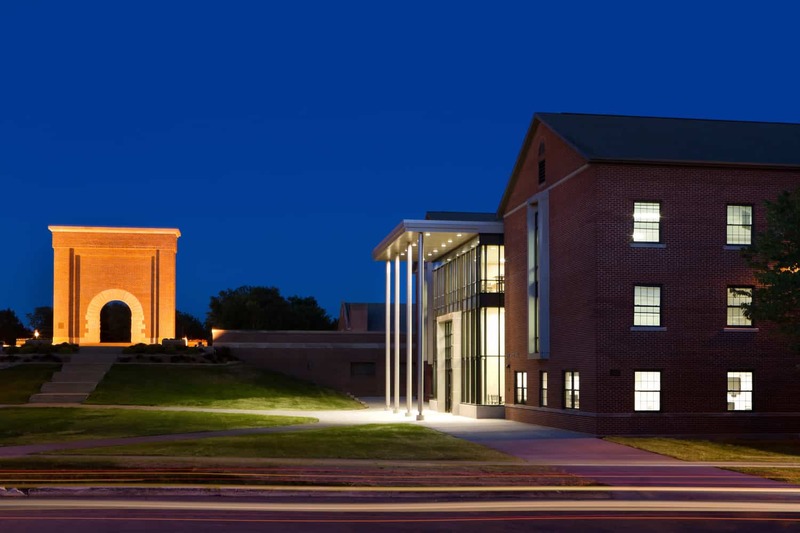 Complementing BVU’s iconic Victory Arch at the entrance to the Siebens Forum, the new three-story north entrance to the residence hall utilizes a formal arrangement of columns and clean lines to establish a transparent but iconic addition to the campus’ identity. 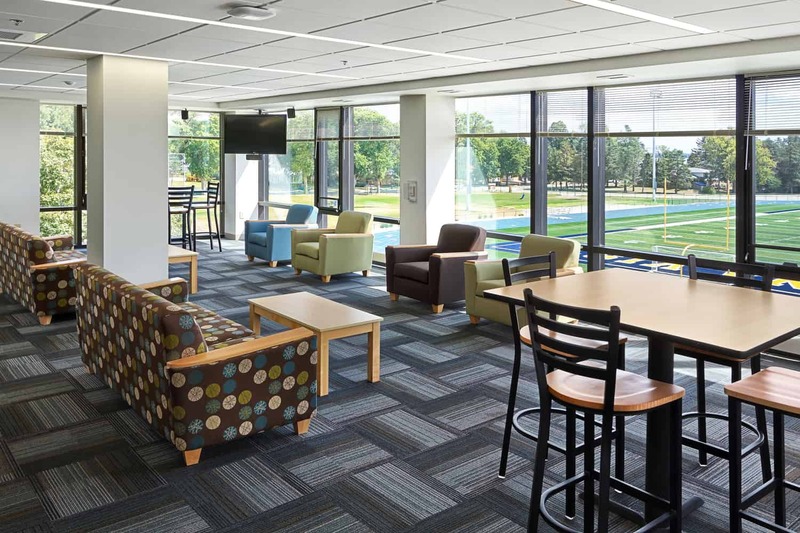 The two-level skyway on the south side accommodates casual lounge seating. 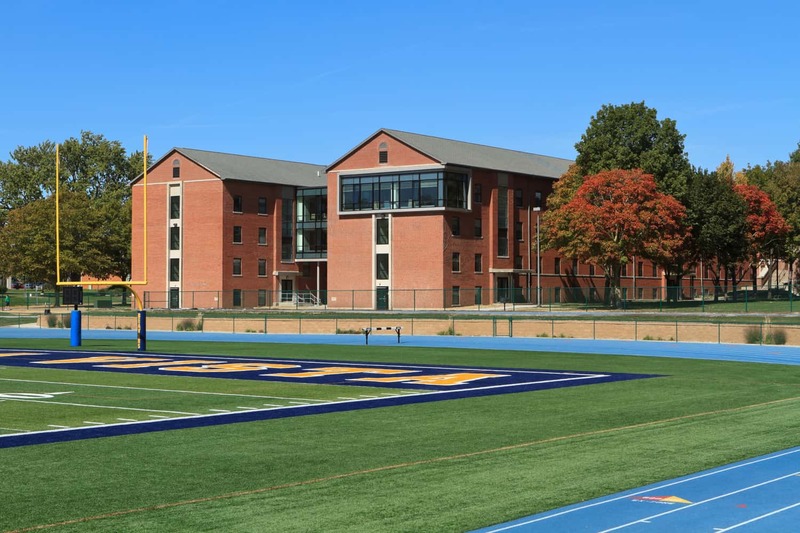 Neighboring the school’s Rollins Stadium and Bradford Field, a glass “skybox” housing a multi-purpose gathering room complete with kitchen gives a panoramic view for football, soccer, and track events. 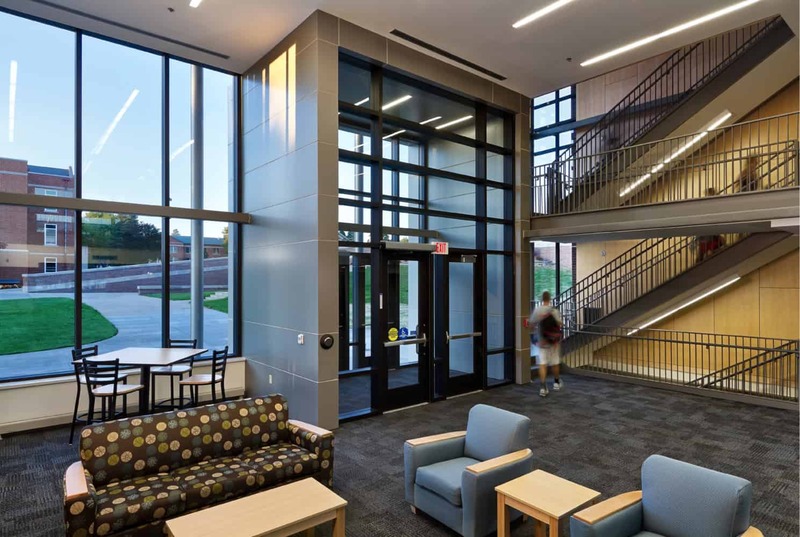 Components: Three-story glass entrance; two-story skyway; renovated, double-occupancy student rooms; lounges; kitchen; overhauled restrooms; offices for residence administration; addition of full basement to accommodate expansion and renovation of laundry facilities; half-lift creating indoor handicap-accessible connection between residence hall and neighboring Siebens Forum building.